This is it Cincinnati! Ringling Brothers and Barnum Bailey Circus is stopping the circus train in Cincinnati for the very last time. just one last tour: XTREME. The circus will be making it’s 100th++ annually return to the Queen City in a few days, but this time it’s different. After this tour, the lights will go down and the train unpacked for the last time. Ringling Brothers and Barnum Bailey Circus has quite a history with Cincinnati. The proof is in the tickets that are selling out! Get your tickets asap and don’t miss you chance to say, “thanks” and “goodbye”. Thank you, Ringling Brothers and Barnum Bailey Circus, for all you have given to our city! 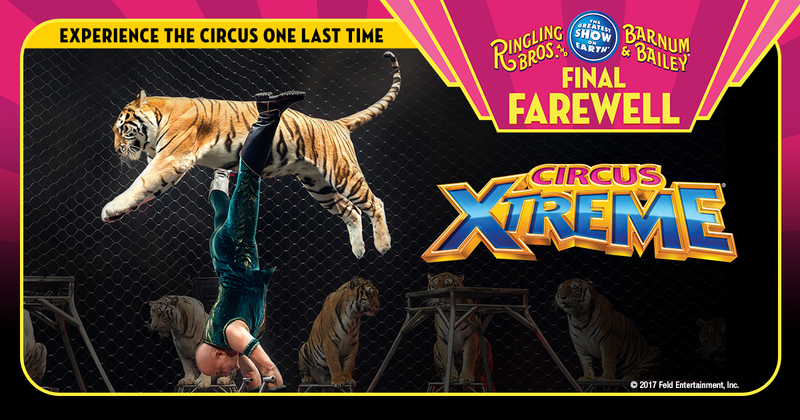 In the final tour, Ringling Brothers and Barnum Bailey give an XTREME Farwell! Ticket Price start at just $15! Ticket limit of 8 tickets. Link and purchase your tickets now!